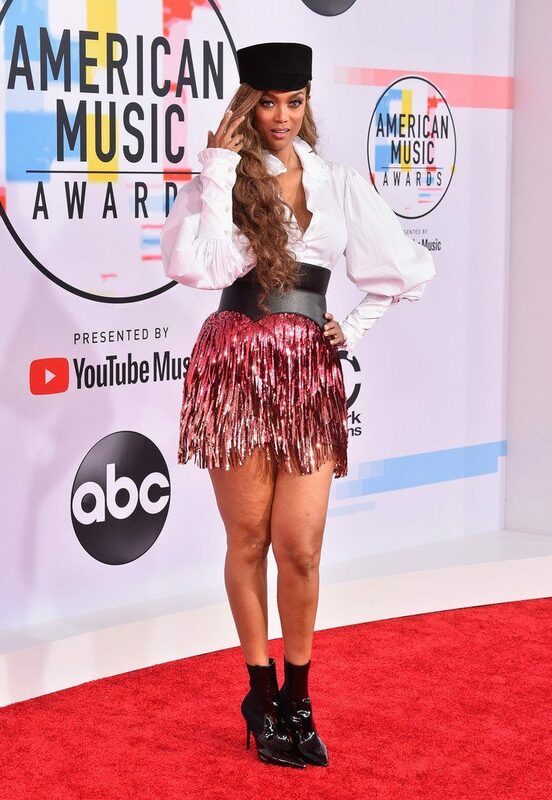 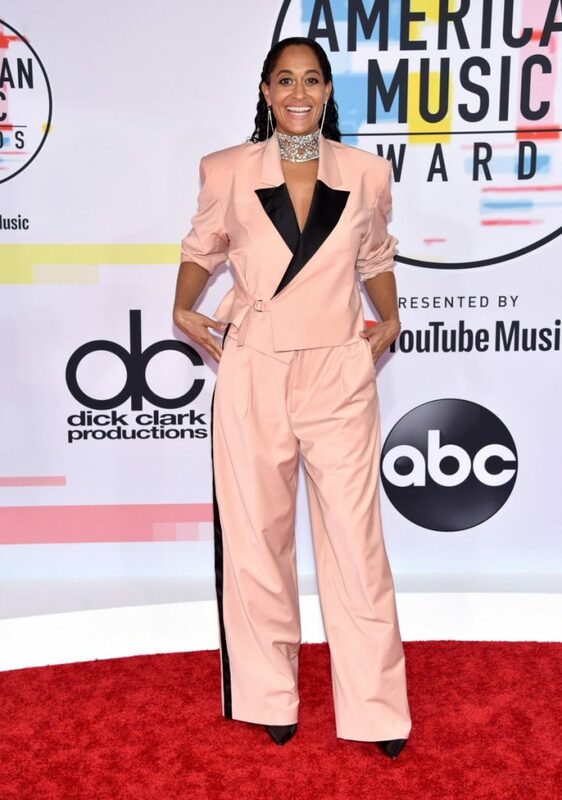 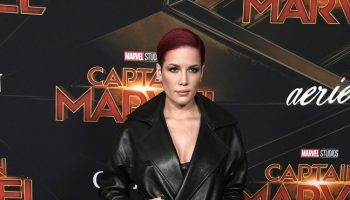 The 2018 American Music Awards on Tuesday (October 9) at the Microsoft Theater in Los Angeles. 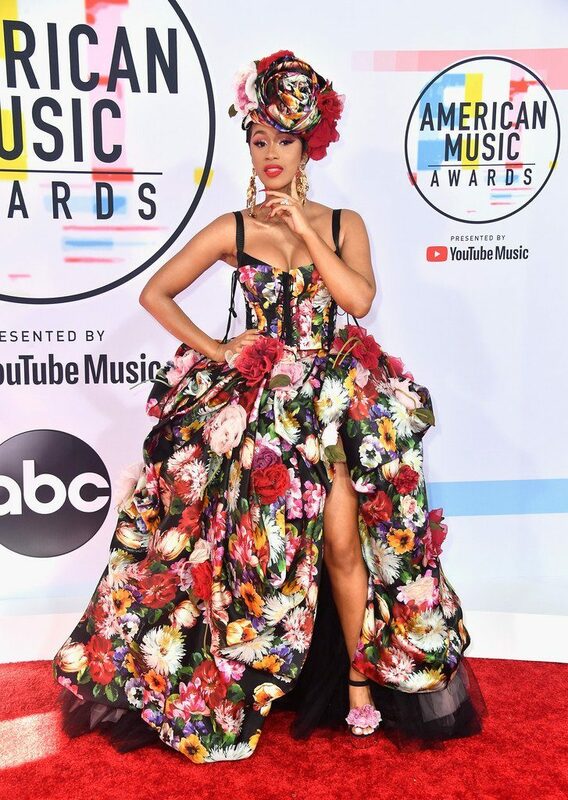 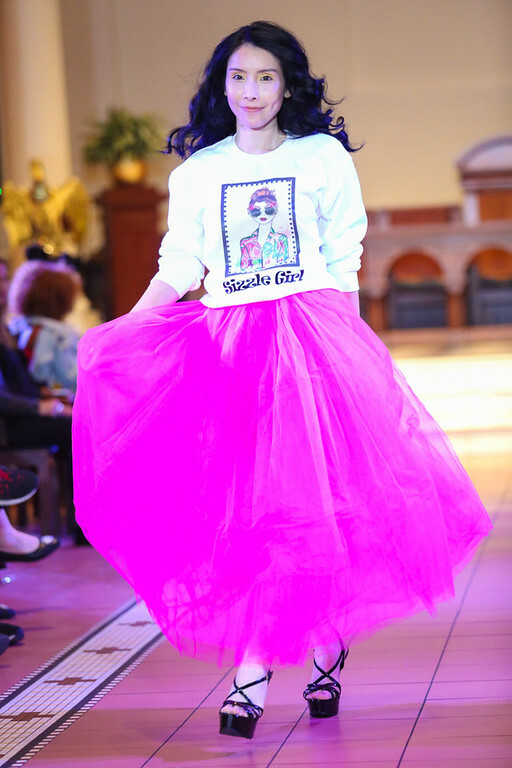 Cardi B wore a Dolce and Gabbana Spring 2019 gown. 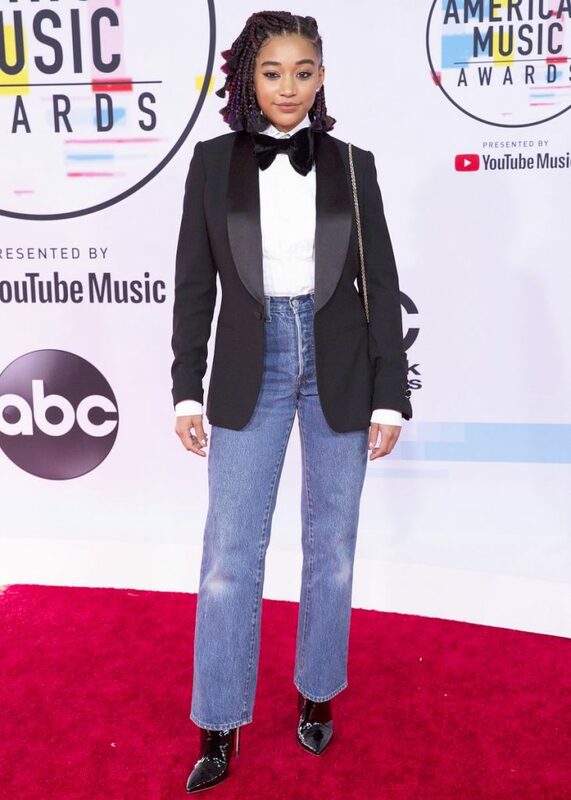 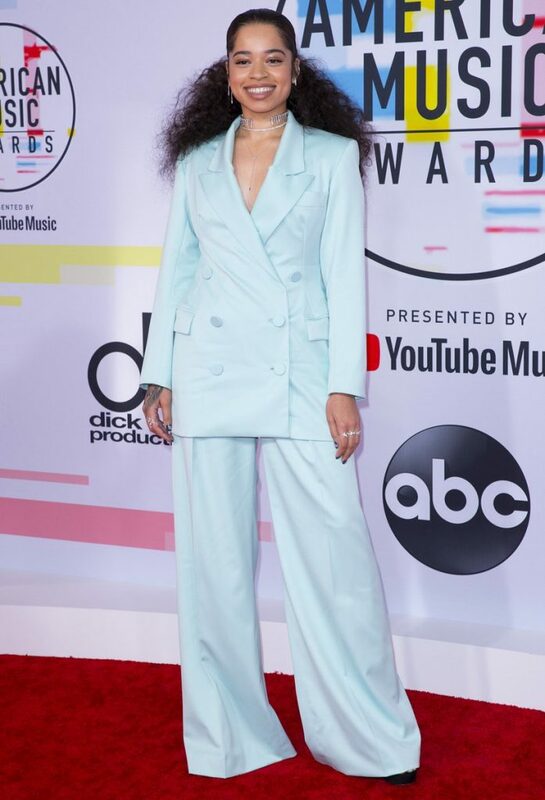 Ella Mai wore a light blue Sergio Hudson double-breasted suit . 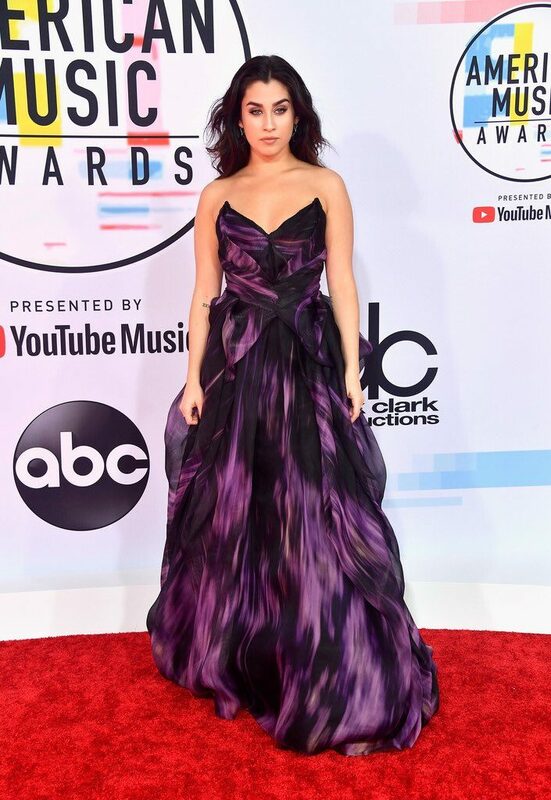 Camila Cabello wore custom Armani Prive design. 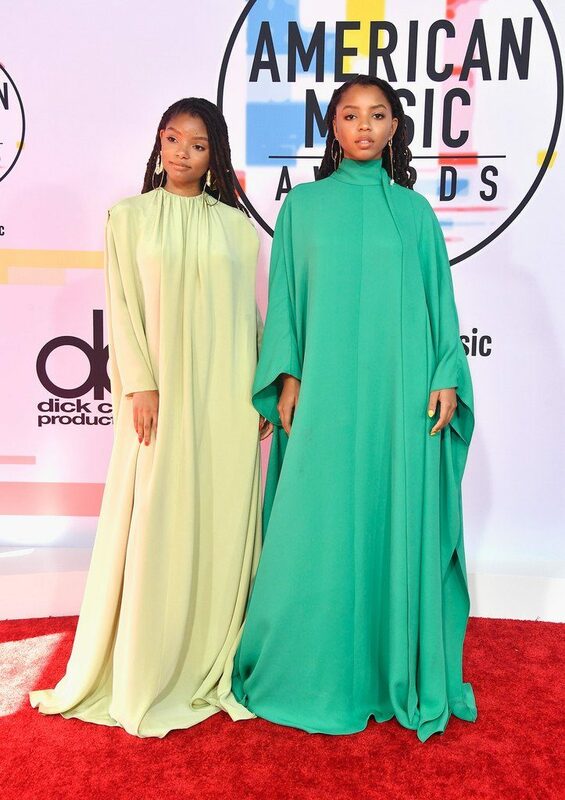 Chloe x Halle both wore Valentino Fall 2018 gowns. 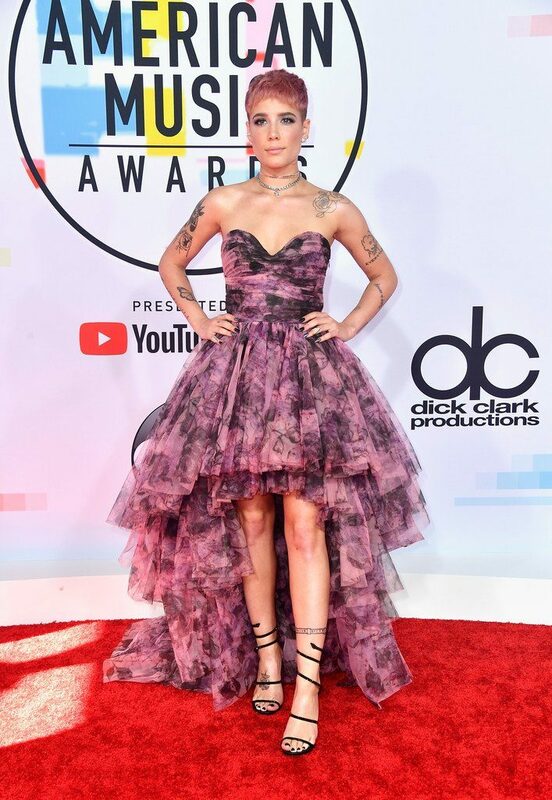 Tiffany Young wore a Versace Fall 2018 bustier + full skirt with a mixed print. 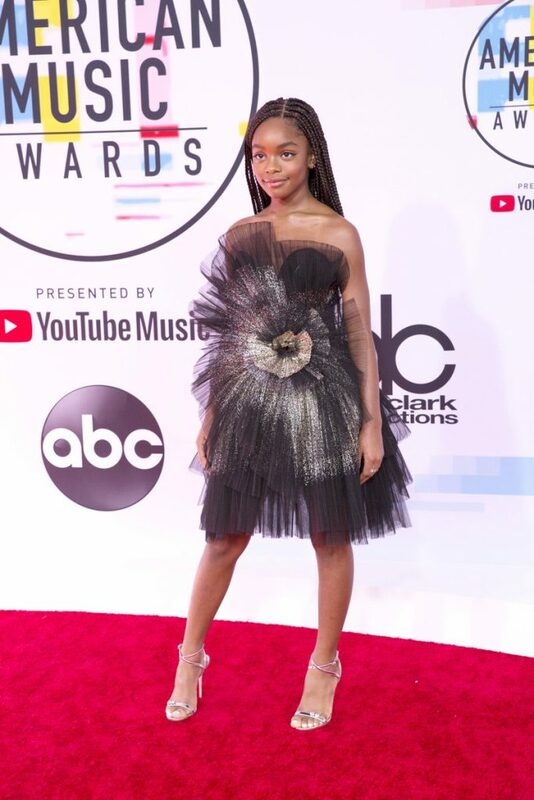 Marsai Martin wore a Pamella Roland Spring 2019 dress styled with Giuseppe Zanotti “Ellie” sandals. 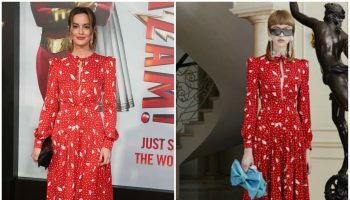 Kathryn Hahn wore a #Balmain plaid tweed blazer dress.